When you’re looking to buy a juicer it can be hard to know which is best. And you’ve probably noticed that the main two types of juicer are Masticating and Centrifugal, both great for different reasons but which one is best for you will depend (doesn’t it always?). So this article is going to share with you what the differences are, what to look out for when buying one and which one will be best suited to you. I thought I’d start by clearing this up. Masticating, cold press and slow juicers are all the same thing! Masticating juicers work as slower speeds compared to centrifugal juicers and this slow speed also stops the juice heating up while it’s being made keeping it cold. So don’t let marketing trick or confuse you, these are all just different ways of talking about the same thing. Let’s take a quick look at how both types of juicers actually work to get you juice at the other end. Centrifugal juicers work by using a high-speed spinning cutting blade that cuts up the fruit and veg into tiny pieces that get thrown against a strainer (though, you guessed it, centrifugal force) which then catches the pulp and lets the juice pass through. 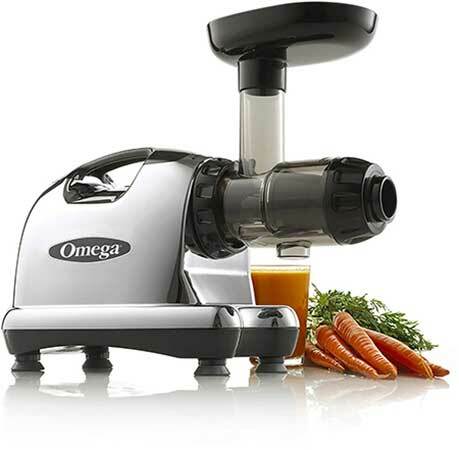 Masticating juicers work by having a slow spinning augur that presses the fruit or veg and squeezes out the juice. Similar to your teeth hence masticating, they chew up what you put in and let juice come out one chute while the pulp gets pushed out another. It took me a while to decide how best to lay this out but in the end, I’ve decided to go with each key feature and how each type of juicer performs under it. I’ll put a summary after so you can see what each type of juicer can do in full. Centrifugal juicers are the far faster of the two, they operate at anywhere from 3,000 rpm all the way up to about 10,000 rpm. Because of the way they work they need the really fast speeds to properly juice your fruit and veg. This faster speed also makes it the faster of the two to actually make your juice, useful if you tend to be in a hurry. Masticating juicers are way on the opposite end of the scale, because they work with a crushing motion they don’t need nearly as much speed so are usually around 60-120 rpm. This slower speed does mean they make juice slower but as I’ll get to it actually means they make more juice from the same amount of fruit and veg. 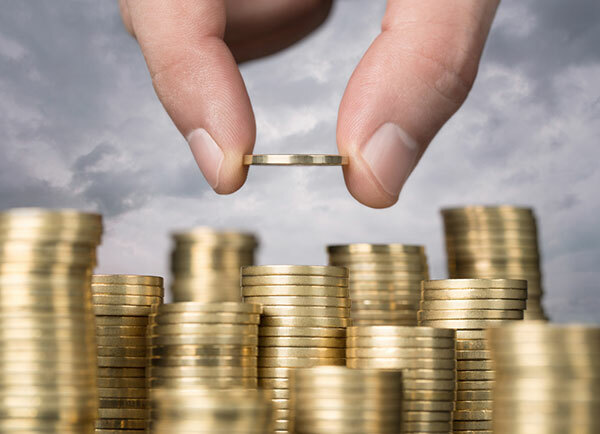 Always an important point to look at when you’re comparing anything, how much does it cost, well price varies a lot over both categories so I’m going to quickly talk about that. 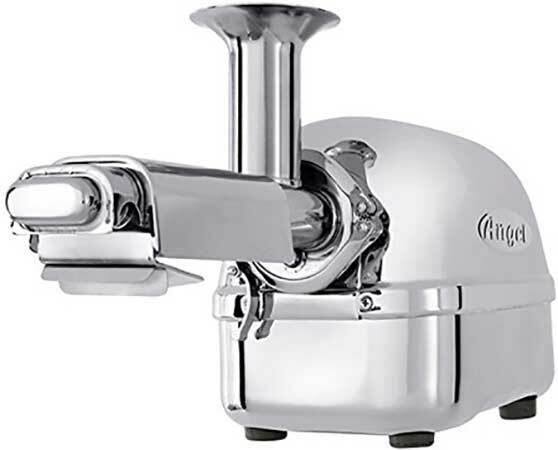 Centrifugal juicers are the cheaper of the generally, you can pick one up for as little as $50 (though it might not be the best) and they go up to around $200-$300. There are some outliers past those price points but that’s the rough gauge. 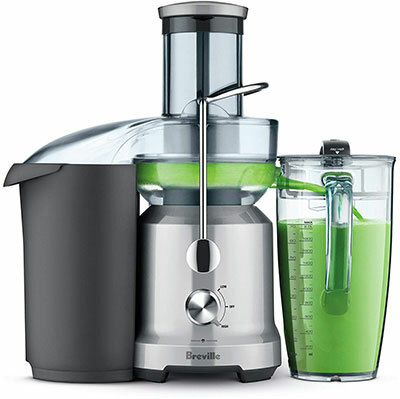 Masticating juicers on the other hand can be a lot more expensive, they start around $80-$100 but then go up above $1000 for a really top of the range model. However, you can get a really good one for around the $150-$250, you don’t need to spend over $1000 to get some great juice at home. For this there isn’t much of a difference between the two, it kind of depends on the specific model you get, some centrifugal juicers are much easier to clean than others. Neither are especially difficult to clean, the only thing I’ll say is that they are both much easier to clean if you have a dishwasher. Now this is an important one, how much juice you actually get from the fruits and vegetables you put in. Centrifugal juicers have the lower yield of the two, it’s the cost that comes with having a faster juicer, you get a reduced return on how much juice you get but you get it much faster. And if the pulp comes out too wet you have to put it through again to make sure you actually get all the juice out of it that you want. Slow juicers, on the other hand, are very efficient and squeeze every last drop out. The pulp comes out feeling dry and rarely do you have to put anything through twice. This is good because it means buying fewer fruits and vegetables to juice saving you money in the long run. This is quite an interesting difference that people tend to forget about. How long will the juice stay fresh after you use it. Generally out of a centrifugal juicer, juice will stay fresh for about 1 day, roughly 24 hours. This is because the spinning blade inside causes the juice to get heat up slightly when you make it, plus it tends to pull in the air which causes the juice to oxidise which is what ultimately makes fruit spoil. This is not to say that the juice is spoiled as you’re drinking it, it just begins the process which will leave it spoiled after about a day, so you just want to make juice then drink it soon after if you’re using a centrifugal juicer. 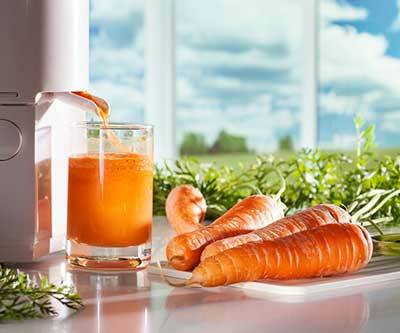 Masticating juicers, however, work slower (as you’ll know if you’ve been paying attention?) so this process of warming the juice as it gets made and oxidation doesn’t happen which means that the juice can last about 2-3 days or up to about 72 hours. It depends on a few other things, some of which I talk about in this article on orange juice freshness. This is good because it means you can make yourself a big batch of juice and enjoy it for the next few days before you have to make any more. It’s about the same on both types of juicer, it should come down to how big the chute is, where you put the vegetables in, but really regardless of that, you should chop up your veg before you put them in. Otherwise, it will jam, trust me, and it doesn’t take long to roughly chop things before putting them in. It’s more for hard produce like carrots which can be tougher to juice if they’re nice and fresh and crunchy, but it’s good practice to chop up pretty much everything (I’m sure your blueberries will be fine). 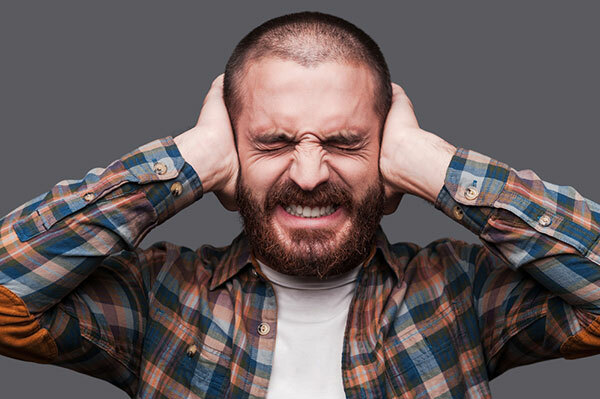 Nothing will ever be what I’d consider quiet, but to me, quiet is the sound of a DVD disc spinning, so a juicer will never be truly quiet, but some juicers are quieter than others. You have a trade-off because the lower the RPM the quieter the machine will be, but also the slower it will spin so it’s finding a balance between power and noise. If the juicer mentions they have some sort of technology that helps it keep quiet or be more powerful with a lower rpm then that’s a different story but generally the lower the rpm the quieter it will be. Masticating juicers are the quieter of the two, they already run at a slow speed so have more of a rumbly sound that tends to be a bit lower pitched so it doesn’t seem as loud either. And because the RPM is fairly standard across the board it won’t make a huge difference to the sound you hear. That was quite a lot of information, that I hope you found helpful, but here’s it condensed down into a pros and cons list so you can see it all summarised. So you get a fast and easy glass of juice and won’t spend as much money but you lose out on that efficiency of converting the produce to juice. Making it and drinking it isn’t a huge problem unless you’re on a juice fast of some kind. I’m sure you’re not surprised that this list is effectively the opposite of the one for centrifugal ones, that’s why this is a Masticating vs Centrifugal Juicer article, not a Masticating is the same as Centrifugal juicer article! But yes, you get more juice, it lasts longer and makes it a bit quieter but at the cost of, well, the cost… Usually a little more expensive but not astronomically so. Now that we’ve thoroughly compared them, which is best? Well, and hopefully you’ve realised, it depends, you might have read through all that and the right type for you jumped out at you, or you may be more confused than ever about what one you need. If you are more confused than ever don’t worry, I’ve broken it down into the different categories you might fall into. 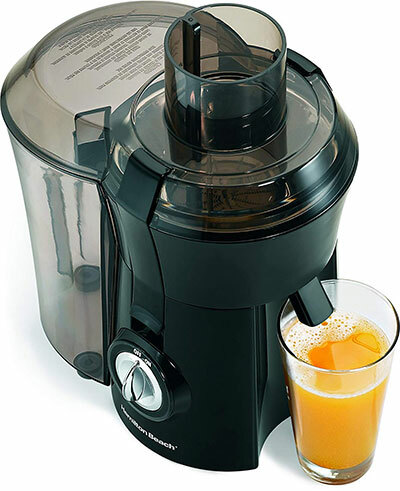 Beginner juicers probably want to go with a centrifugal juicer, they’re nice and easy to use, not too expensive and you get juice made for you nice and quick. If you decide you like it then you can upgrade to a fancier masticating juicer but it’s not overly necessary at the start. You’re going to want a masticating juicer, you’ll want that high yield and long-lasting juice to keep you going through juicing every day. Maybe you love juice but don’t really like the act of making juice? I feel you, sometimes it can feel like a chore, so you want a masticating juicer so you can batch make your juice and keep it for a few days. And that does it! Hopefully you know a lot more about the differences between masticating juicers and centrifugal juicers, so much so that you’ll be telling your friends all about it. Ok so maybe not quite that… but still, hope it was helpful. And if you fancy a masticating juicer check out my article on the best ones which you can find by clicking here.